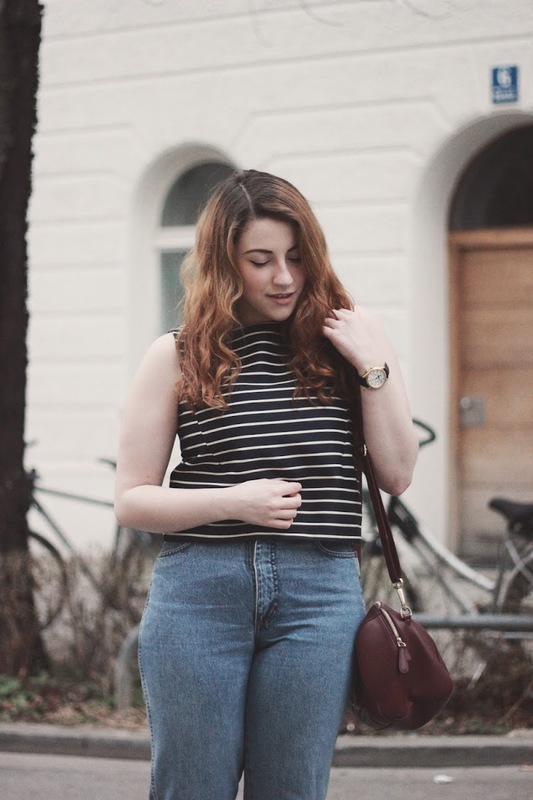 Mango striped top: €30. 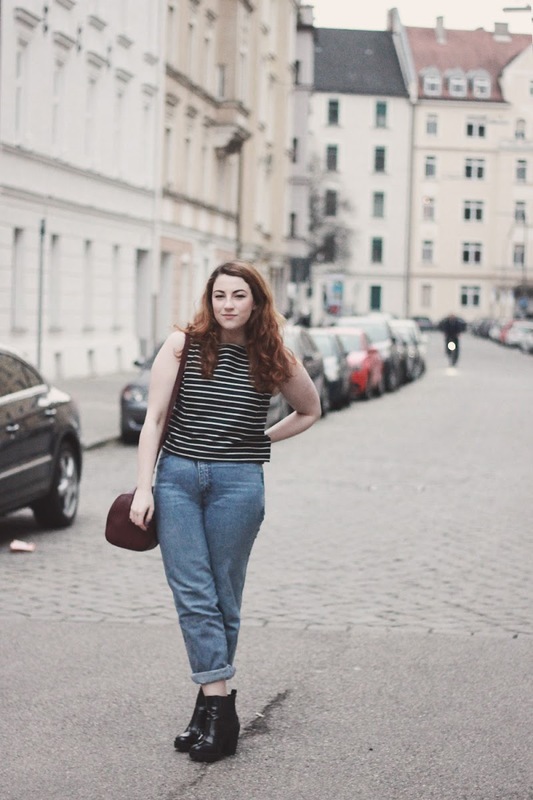 Vintage Wrangler mom jeans: Brag Vintage. Marks and Spencer bowling bag: £43. Zara double breasted coat: £30. Rotary watch: gift. Missguided boots. On another note, have any of you ever been to Zurich before? Lauren and I are planning to head there for a weekend soon (...on Friday), and would love to hear if you have any recommendations for hotels or things we must do and see, so please do leave a comment or tweet me if you have some little nuggets of wisdom to share! Don't forget to enter to win a pair of Michael Kors sunglasses! I always seem to be putting my outfits together in a rush lately and then hating them. Really enjoyed reading this post. 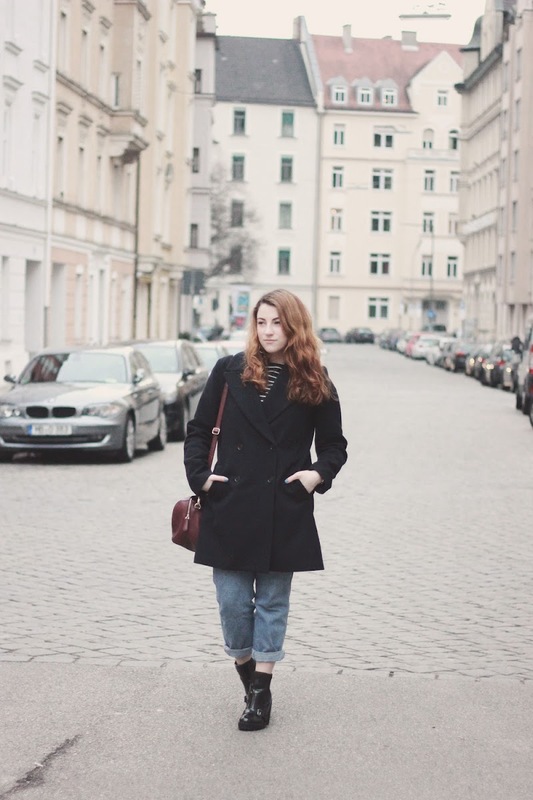 It's nice to know that other bloggers doubt their outfits and are sometimes not sure about the photos they post. I've had a real mental block with shoes recently. I wore out a pair of boots that looked really bad with a pair of jeans and the whole day I could not stop thinking about it. Think I drove my friend a little mad so I shut up eventually! I think you look sassy n' fabulous but I completely get what you mean, when something isn't quite right- I get that a lot too! Love this outfit! You look great, as always! 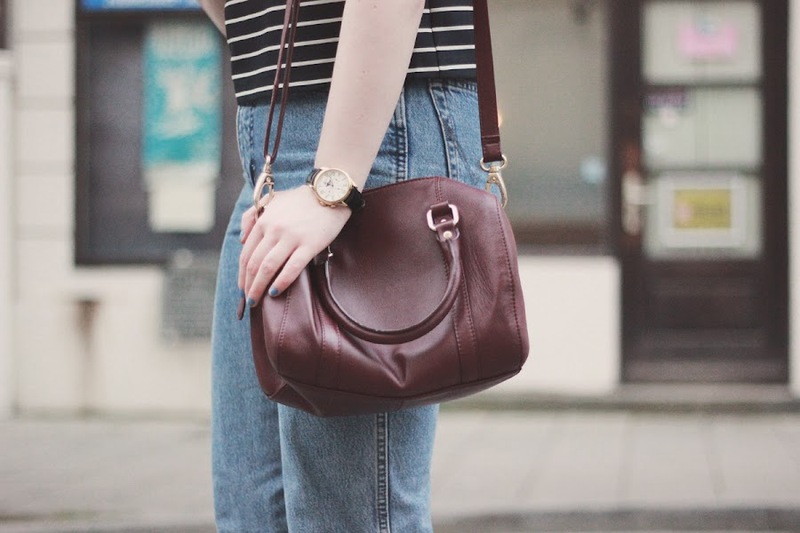 Really enjoying those boyfriend jeans and the lovely maroon shade of your bag!